Used or pre-owned cars, trucks, and SUVs for sale in Colorado Springs, CO. Red Noland maintains a nice selection of used vehicles from many different makes and models. 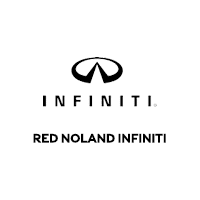 We have a nice selection of use INFINITI cars and SUVs at all times. Our constantly-updated used car inventory also includes brands like Cadillac, Jaguar, Land Rover, Chevrolet, GMC, Buick, Toyota, Honda, Lincoln, Lexus, Acura, Volvo, Ford, Subaru, Volkswagen, Audi, Mazda, RAM, and more!